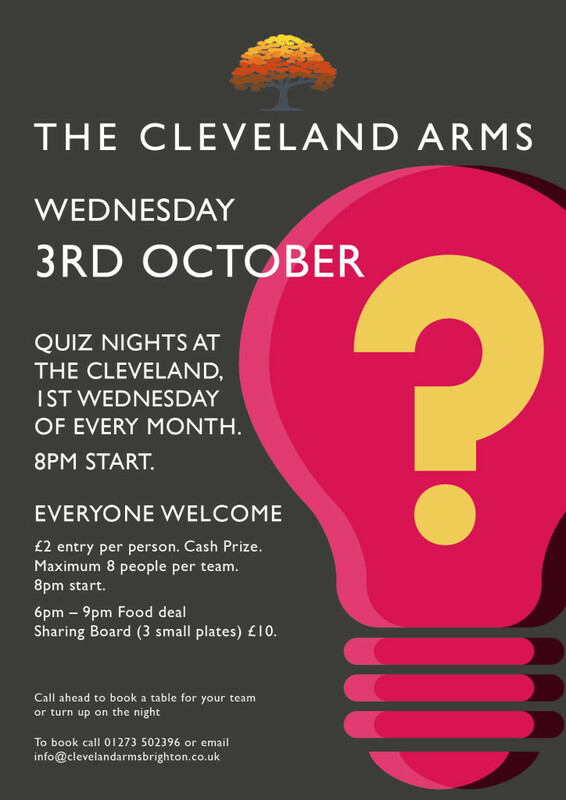 Join us for our very succesful and challenging quiz night here at The Cleveland Arms on Wednesday 3rd October at 8pm. £2 per person with prizes for the winners and second to last place. Small plate special offer 3 for £10 between 6pm-9pm.